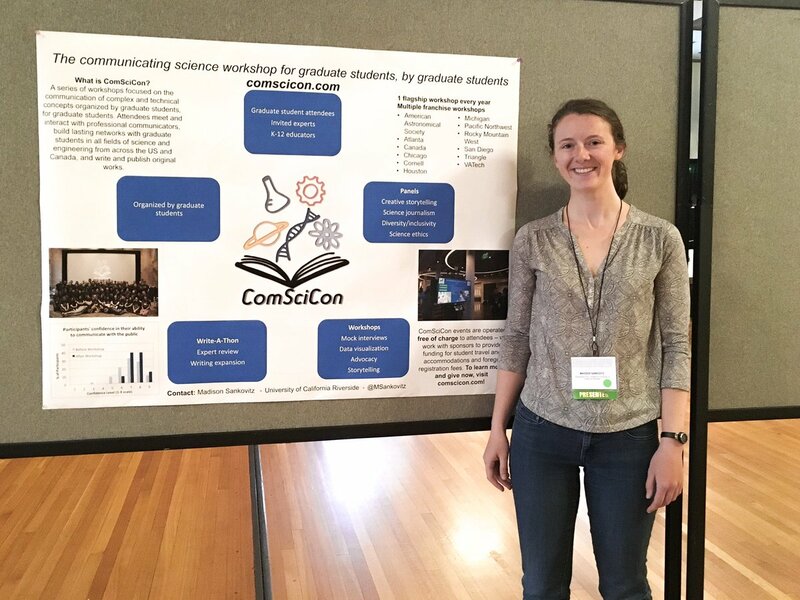 At each workshop, ComSciCon graduate student attendees produce original works of science writing that they are invited to submit to our partner publishing outlets including Scientific American, Nature, and Astronomy Magazine. The topic is at their discretion, and past attendees have written about everything from technical aspects of their own research, to the direction of their field as a whole, to reflections on the nature of science communication itself. At right are our attendees' published works - articles written by graduate students, during ComSciCon events - as well as some press clippings about our workshops. t’s 16:30 in rural Myanmar and my field crew, who had spent the day surveying for elephant dung, are racing our caravan of motorbikes back to the field camp before dusk descends. As the day fades tempering the oppressive heat, elephants emerge from the shade of the forest to begin foraging, sometimes in the sugarcane and rice paddies that are increasingly spreading across the country. Running into one of these giants as they too use the network of dirt roads to travel through the landscape can be fatal, necessitating a strict policy of returning to camp before dark for the safety of the team. While my field season lasts a short three months, this is one of many concessions residents are forced to make or risk their lives encountering an elephant as night falls.